Without question becoming lost would have to be one of the most unsettling and frightening things that can happen on the trail. Bad weather may present unexpectedly or you may do all the right things but somehow still find yourself unintentionally off course. Personally, I have faced such a reality on more than one occasion and knowing what to do next may change the course of events and even save your life. How to avoid such events happening and secondly what proactive measures you can put into play to ‘get yourself back on track’ is ultimately what we’re on about. Which brings us to task of choosing the best outdoor compass to meet your needs. Whilst this may seem a little daunting, I have put together the resources to make the task much easier. Why Should I Carry a Compass? One essential item that should always find pride of place in your survival kit is a compass. While handheld GPS devices are great for data logging and can quickly pinpoint your location they remain reliant on satellite signals and batteries and are thus well – prone to letting you down at inopportune times. A compass along with a good topographic map is therefore indispensable for reliable backcountry navigation. Most modern compasses include a clear baseplate with a magnetized needle enclosed in a fluid filled housing usually comprised of mineral oil, lamp oil or ethyl alcohol. The fluid helps dampen the needle allowing you take an accurate bearing. Cheap compasses without a fluid housing should therefore be avoided. Along with the dial and orientating arrow the baseplate includes a direction of travel arrow, measuring scale, ruler and magnifying glass for reading those niggly details or even starting a fire! Baseplate compasses can basically be divided into two categories; standard baseplate and sighting / mirror. 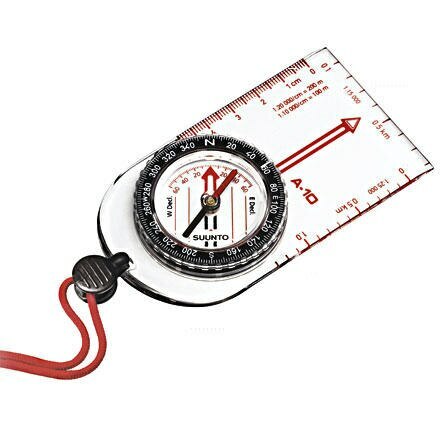 The standard baseplate compasses are the most common and are suitable for general outdoor navigation and general mapping use. The larger versions include a longer orientating needle making them more accurate. 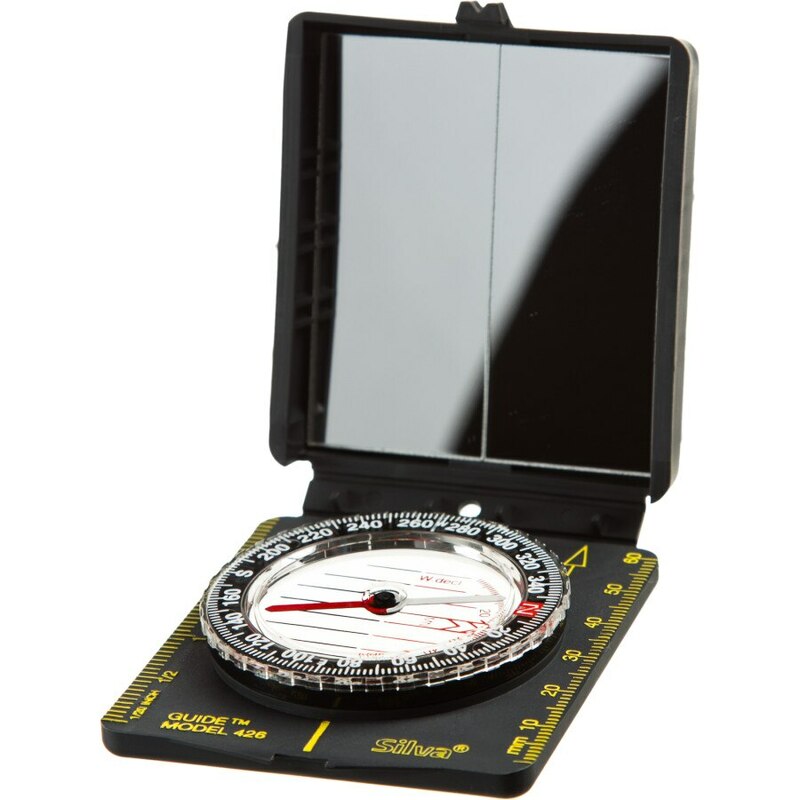 Sighting / mirror compasses by comparison incorporate a folding mirror allowing you to simultaneously sight your landmark while taking a compass reading. Some include adjustable declination for improve navigational accuracy by means of an adjustable screw attached to the lanyard. Occasionally featured is a clinometer which allows you to measure the angle of inclination – handy when assessing avalanche risk. What’s the Best Handheld Compass? For this review I have compared some of the best compasses from two leading companies synonymous with navigation, Suunto and Silva. 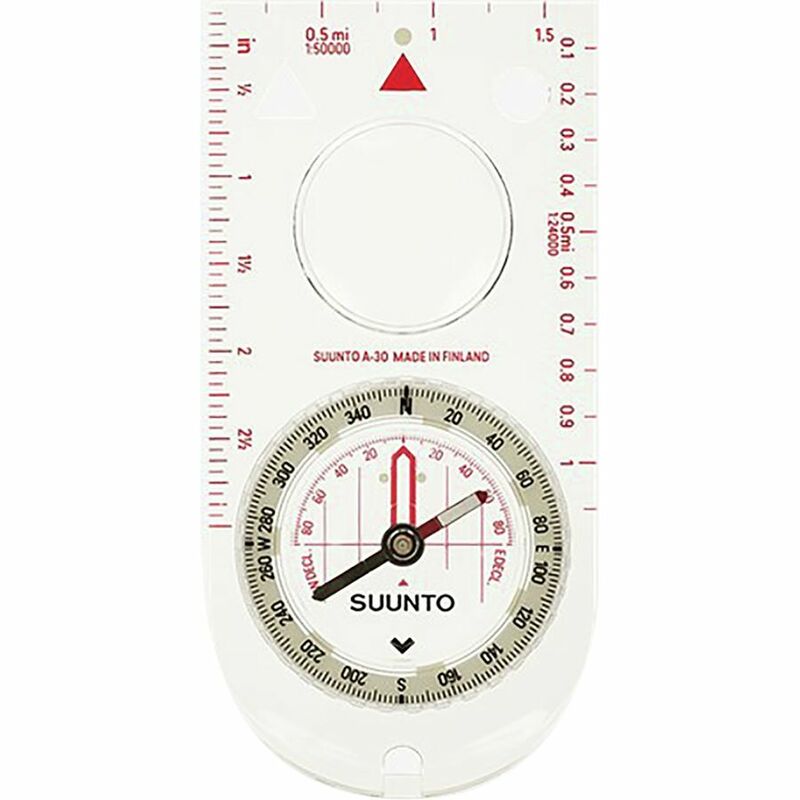 Both companies originate from Scandinavia, Suunto (Finland) and Silva (Sweden) the home of orienteering. In fact it was Silva’s company founders who invented the modern orienteering compass that remains in use today. The Suunto A-10 is highly sought after by many outdoor devotees when it comes to owning a fast and accurate no nonsense compass. 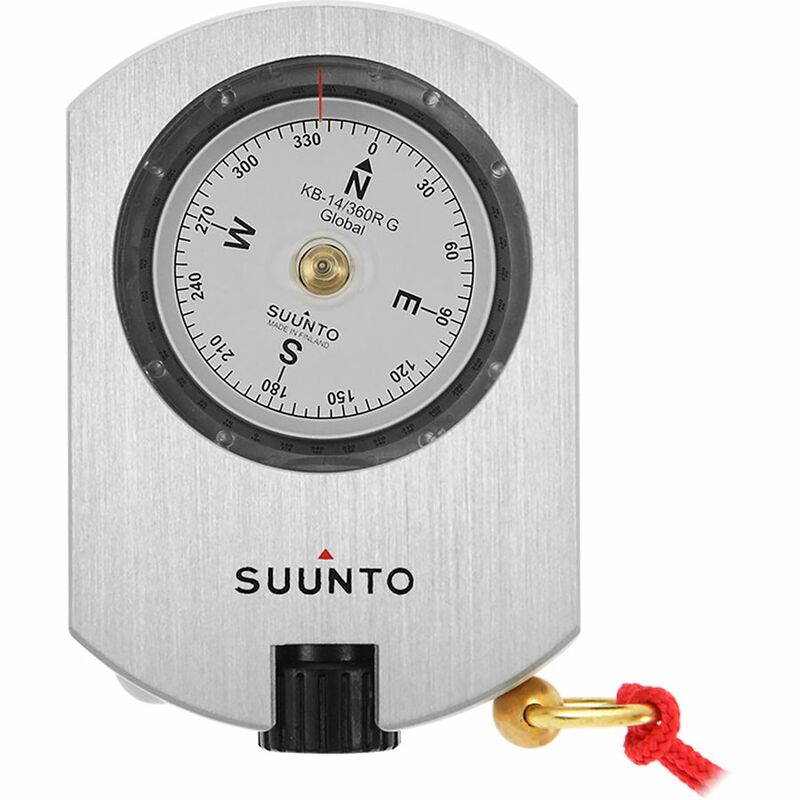 Apart from being one of the easiest baseplate compasses to use, it has quick needle dampening and a fixed declination correction which is an additional scale under the compass needle. The Suunto A-10 also comes with a convenient detachable snap lock lanyard. Given it is one the cheapest compasses on the market at around $14 there is no excuse for not carrying one. The Suunto MCB Amphibian Compass is a relatively compact sighting / mirror compass though big on features and accuracy. 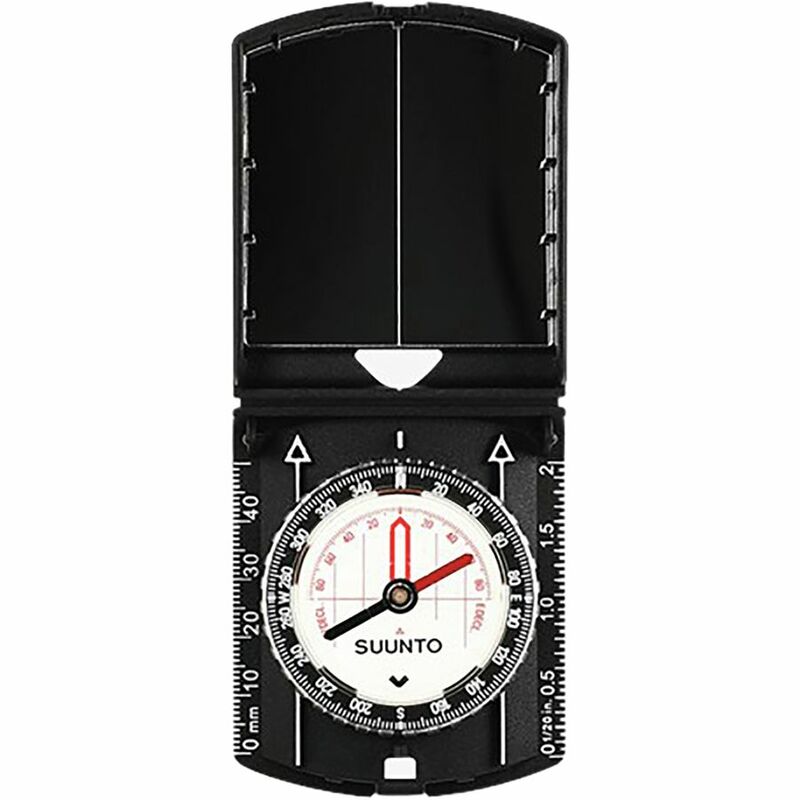 Like its smaller brother the Suunto A-10, it has a fixed declination correction scale and being a sighting compass means the mirror is useful as a signalling device. The lanyard includes a snap lock and doubles as a whistle. For outdoor professionals and those venturing further into the backcountry the Suunto MCA-D Challenger will provide that added level of confidence you’re looking for. 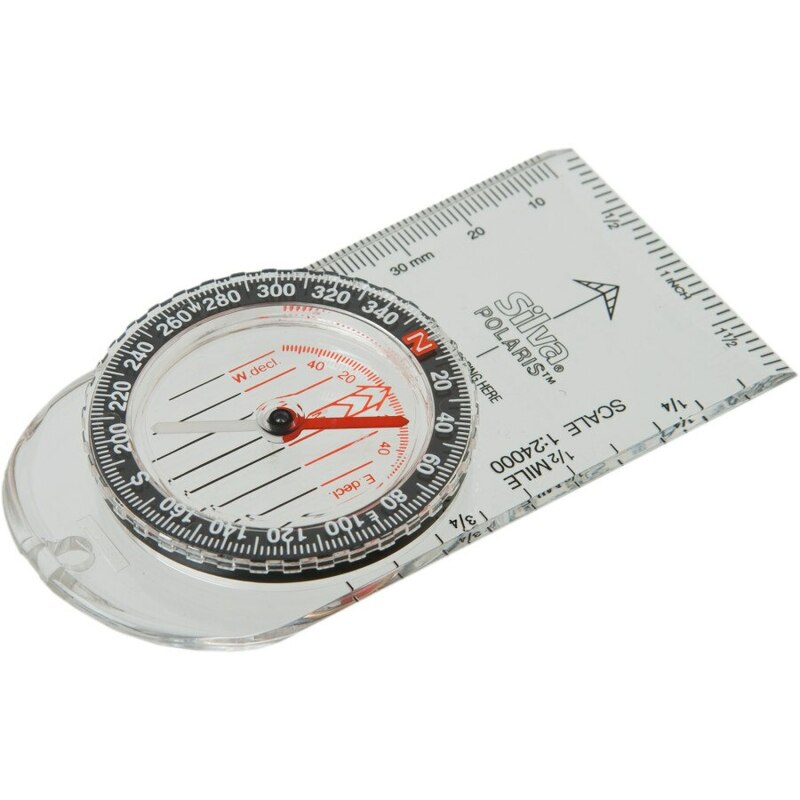 The Silver Trekker Compass is the perfect companion for hikers, campers and outdoor enthusiasts. 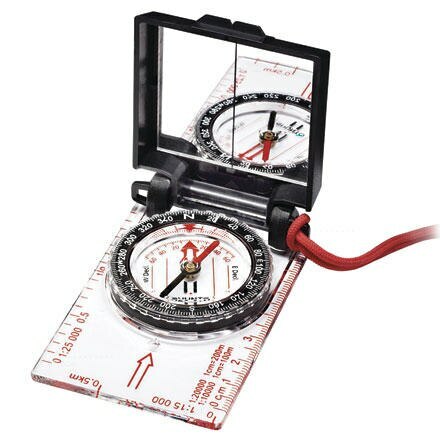 Being a sighting / mirror compass it is designed to provide accurate bearings. Other features include a declination scale, as well as inch and millimetre rulers. The compact size means it can fit easily in your shirt pocket. Rounding it off, the lid has 4 stoppable positions with a V-sight notch and at under the $30 mark it makes an affordable sighting compass. Raising the bar a notch or two introduces the advanced navigation Suunto MC-2 Compass. 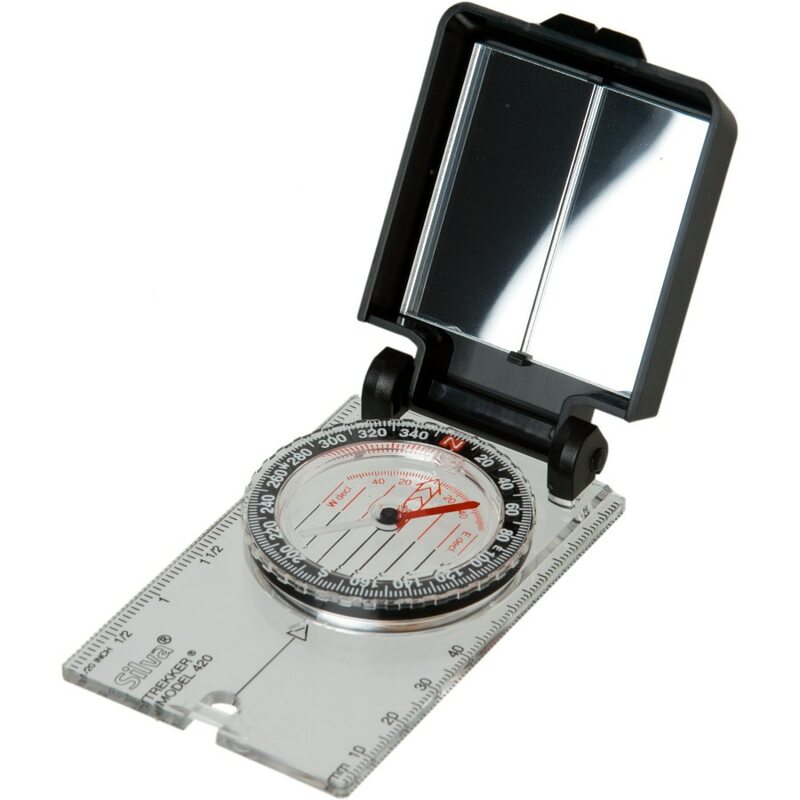 This professional mirror / sighting compass has a slighter longer baseplate improving accuracy and includes an adjustable declination using a key attached to the lanyard. The compass comes into its own in challenging navigational conditions and is perfectly balanced for use in the northern and southern hemispheres. Culminating the package is an additional sighting hole, anti-slip rubberized pads under the baseplate, luminous bezel ring for night use, a jewelled bearing and clinometer for measuring heights, slopes and angles. If you’re after accuracy with no par look no further than the Suunto KB-14 360R. 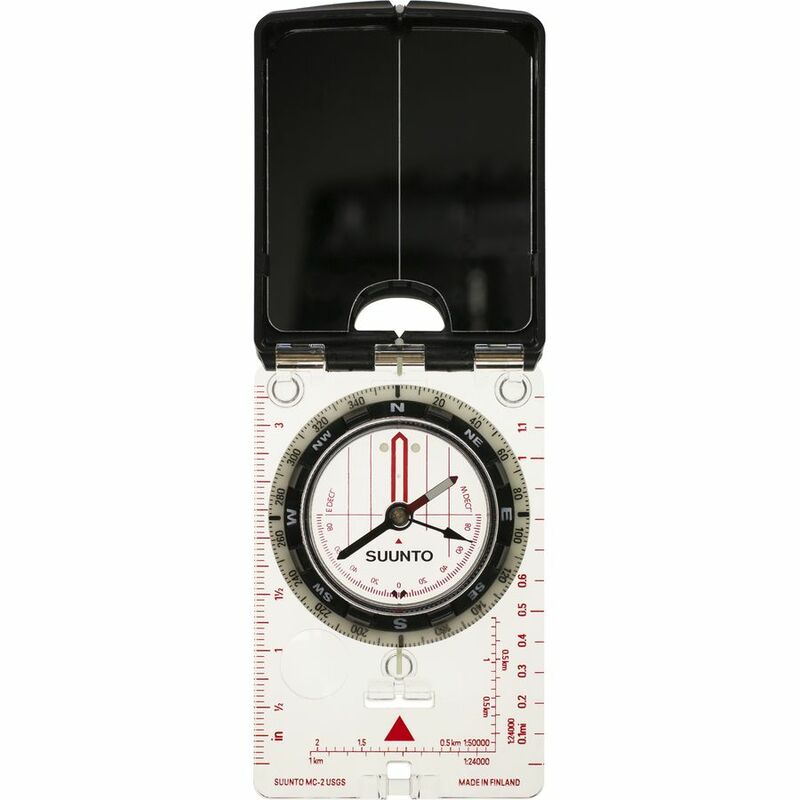 The compass falls under Suunto’s professional instruments category meaning superior materials and workmanship. These compasses are the mainstay of surveyors, foresters and cartographers. Remarkably the compass claims an accuracy down to a third of a degree and graduated intervals of 0.5 degrees. Other highlights include the anodized light alloy compass housing, jewelled bearing, superior damping fluid which remains stable even in extreme weather conditions and a protective nylon pouch. The reason for the lower rating is this model omits the declination correction which is only available on the more expensive KB-14D model.